[vc_row][vc_column][vc_single_image image="7122" img_size="full"][/vc_column][/vc_row][vc_row][vc_column width="1/2"][vc_column_text]2018 is looking like the year that the Singapore property market’s long-awaited turnaround finally gains traction. With the aggressive biddings of government land sales (GLS) and en-bloc sales in 2017, there’s significant increase in number of new condominium developments coming up for launch in 2018. We have provide here a compilation of the upcoming condominiums and apartments that are looking to be launched for sale this year. The basis for estimation are based on the time of sites that were sold in 2017, then the adding of a few months to account for closing of deal, preparation of land, appointment of consultants by the purchaser etc. Do note that some developments are still pending for the official name and for those cases from en-bloc sales, we temporary use the former project names, or address of site for government land sales (GLS). Oxley Towers Kuala Lumpur City Centre is a new freehold mixed-use development located along Jalan Ampang, Kuala Lumpur City Centre, and is in close proximity to the the iconic Petronas Twin Tower and Kuala Lumpur Convention Centre. Oxley Towers Kuala Lumpur City Centre is set to be the next iconic skyline in KL Malaysia as it features magnificent and modern towers that house some of the best names in the world for retail, services and hospitality. The development comprises of a office tower, a Jumeirah Hotel with residences, a So Sofitel Hotel with residences, and a retail podium linking all the three towers ranging from 28 to 79 storeys. The Jumeirah tower will offer 181 hotel rooms and 267 home units while the So Sofitel tower will offer 207 hotel rooms and 590 home units. Both the Jumeirah Hotel and So Sofitel Hotel are expected to be completed in 2021. [/vc_column_text][vc_single_image image="11345" img_size="full" alignment="center"][vc_video link="https://youtu.be/GTxOkwVZxkY"][vc_column_text]Enjoy the pride of ownership now with SO Sofitel Kuala Lumpur Residences, the World's First SO Sofitel branded serviced residences. Standing at 78-storeys tall, you will be at the top of the world. An investment for those who aspire to be the very best. Pioneered by AccorHotels' lifestyle brand SO Sofitel, along with its partner Oxley Group. Situated at Oxley Towers, the SO Sofitel Residences will set a new step not only for SO Sofitel but also for the residential scene in Kuala Lumpur, taking excellence to the next level. At the forefront of innovation and prestige, the project elegantly blends attention to detail and timeless, bold architecture in a pledge to lifestyle luxury with a local flair. SO Sofitel Kuala Lumpur Residences offers the finest to match your every need. WHY INVEST IN SO SOFITEL RESIDENCES KUALA LUMPUR OXLEY TOWER? [/vc_column_text][vc_single_image image="10611" img_size="full" alignment="center"][property_page_map propertyid="10606"][vc_empty_space][vc_column_text]Ideally situated in the most exclusive and highly sought after spot of KL, SO Sofitel Kuala Lumpur Residences offer immediate proximity to the city's exceptional shopping scene, and a wide, eclectic, sleek and refined dining scene. And only about 300m to the KLCC MRT station. With a 50-acre KLCC Park, KL's rooftop bars and multi-themed super clubs area nearby, the SO Sofitel Residences match every aspiration. Fine dining restaurants nearby include Spice of India, House Of Sundanese Food, Chili's Grill & Bar, Ah Yat Abalone Forum Restaurant, Madam Kwan's Restaurant (KLCC), and Il Lido Italian Dining. For nightlife lovers, the world famous Zouk Club is just a stone's throw away from SO Sofitel Residences @ Oxley Towers KLCC. SO Sofitel Residences @ Oxley Towers Kuala Lumpur City Center is close to numerous embassies, namely the Royal Danish Embassy, Royal Swedish Embassy, Embassy of the Kingdom of Morocco, French Embassy, Embassy of the Republic of Korea, Embassy of the People's Republic of China, to name a few. SO Sofitel Residences @ Oxley Towers KLCC is also near to elite schools such as Sayfol International School, Institut Kojadi, PNB Investment Institute, Raffles Lasalle International Design School, SMK Seri Ampang, etc. [/vc_column_text][vc_single_image image="11348" img_size="full" alignment="center"][vc_single_image image="11349" img_size="full" alignment="center"][vc_cta h2="Enjoyed one of the tallest Swimming Pool around the world" h2_font_container="color:%23dd3333" h2_google_fonts="font_family:Open%20Sans%3A300%2C300italic%2Cregular%2Citalic%2C600%2C600italic%2C700%2C700italic%2C800%2C800italic|font_style:600%20bold%20regular%3A600%3Anormal" txt_align="center" add_button="right" btn_title="Give Me The Best Price Unit" btn_color="danger" use_custom_fonts_h2="true" btn_add_icon="true" btn_custom_onclick="true" btn_el_class="ncf_trigger_element"]SMS/Whatsapp “OxleySOSofitel” to +65-91259978 or simply click the button on the right. [/vc_cta][vc_separator][/vc_column][/vc_row][vc_row][vc_column][ultimate_fancytext strings_textspeed="35" strings_backspeed="0" fancytext_strings="SO Sofitel is AccorHotels’ Lifestyle Brand" strings_font_size="desktop:36px;" strings_font_style="text-decoration:underline;,font-weight:bold;" fancytext_color="#dd3333"][vc_single_image image="11350" img_size="full" alignment="center"][vc_column_text]With properties located around the world, the brand playfully mixes sophisticated French elegance and the dynamic style of each locale, crafting unique experiences in places to see and be seen at. Oxley Holdings is a homegrown property developer and is principally engaged in the business of property development and property investment, with an overseas presence across eight geographical markets. The Group has a diversified portfolio with property development projects in Singapore, the UK, Cambodia, Malaysia, Ireland, Indonesia and China and investment projects in Singapore, Cambodia, Malaysia and Japan. The Group also provides project management and consultancy services in Myanmar. ​The Group’s property development portfolio includes quality residential, commercial and industrial projects incorporated with retail elements and lifestyle features and facilities and are located in choice areas that are easily accessible. In 2013, the Group expanded its property development portfolio into other countries through partnerships with reputable developers and business partners. Oxley’s balanced portfolio of investment properties comprises industrial, hospitality and commercial properties. Simply SMS or Whatsapp “OxleySOSofitel” to +65-91259978 or simply click the button on the right to get it. Amber 45 is a freehold development located at Amber Road at Marie Parade. It is land from the former nursery Ban Nee Che and sits in between two iconic developments which are The Shore Residences and The Sea View. Why Invest/Buy Amber 45 at Amber Road ? to be well received as there has not been any new launches it the area for a long time. Amber 45 is located near to East Coast Park where it is an ideal place to gather with your families and friends for some outdoors sports and leisure. [/vc_column_text][vc_single_image image="11306" img_size="full" alignment="center"][vc_column_text]UOL is one of Singapore's leading public-listed property companies with an extensive portfolio of development and investment properties, hotels and serviced suites. Asia, Oceania and North America under two acclaimed brands, namely "Pan Pacific" and PARKROYAL. Our unwavering commitment to architectural and quality excellence is reflected in all our developments, winning us prestigious awards such as the FIABCI Prix d'Excellence Award, Aga Khan Award for Architecture, Urban Land Institute Awards for Excellence and President’s Design Award. [/vc_column_text][vc_column_text]The Verandah Residences is an upcoming freehold residential development by established developer, Oxley Holdings. This exquisite low-rise apartment is just situated along 231 Pasir Panjang Road. Why Invest/Buy The Verandah Residences? 5 Minutes Stroll to Haw Par Villa MRT. Strategically located between 2 CBDs. Next to Upcoming Greater Southern Waterfront City. Well connected by major expressways Ayer Rajah Expressway (AYE), Pan Island Expressway (PIE0, Bukit Timah Expressway (BKE) and West Coast highway. Huge tenants pool Science Park, NUS, NUH, Japanese Schools, Alexandra Business Centre, PSA and Jurong Gateway. [/vc_column_text][vc_single_image image="11220" img_size="full" alignment="center"][vc_column_text]Around Verandah Residences (built by Oxley at Pasir Panjang) are a number of shopping malls, MRT stations, educational institutions and more that provide great convenience to residents. Visit to showroom is by invitational only. To request for an invite, please fill up the form on the right, and we will contact you shortly. CALL or SMS +65 91259978 for Floor Plans/eBrochure/Developer’s Discount! Standing at a towering height of 15 storeys, The Peak @ Cairnhill I showcases grace that sends your heart fluttering. Every ascending level leads you to the grandeur of 52 units. Why Invest/Buy The Peak @ Cairnhill 1 ? Be surprised by the elaborate luxury that life has to offer. Unload your daily baggage and allow the expansiveness of a swimming pool, gym and communal facilities to win you over. A leisurely pace and lifestyle become the imperitive. Simply let you hair down! It is in The Peak@Cairnhill I that you inspire a living that is ever so ahead of everyone else's. Situated at Cairnhill Road - the heart of Orchad. The Peak@Cairnhill I has as impressive location that tags along with your identity. The history of TEE Land Limited (“TEE Land” or “our Group”) can be traced back to TEE International Limited (“TEE International”). TEE International was established during the 1980s in Singapore as a general electrical contractor and later expanded its interests to engineering, estate and facilities management as well as property development. Our Group started in 2006 as a strategic business unit of TEE International. Leveraging on its engineering division, TEE International expanded into property development business in 2006. 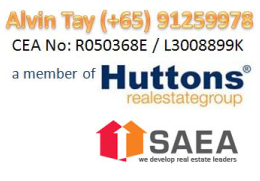 Subsequently in March 2007, as the first wholly-owned subsidiary of TEE International in its property development division, TEE Development (as TEE Land was known back then) was set up to carry out property investment and development projects in Singapore. In 2008, TEE Development expanded into estate and facilities management in both Singapore and Thailand. Its projects include designing, building and managing the workers’ dormitory at Marina Bay Sands in Singapore and managing the Rom Klao Estate in Thailand. TEE Land went on to complete five residential projects in Singapore and Thailand. They are The Thomson Duplex, Bungalow at Braddell Height Estate and Cantiz @ Rambai in Singapore, and The Surawong and Chewathai Ratchaprarop in Bangkok, Thailand. Over the years, the Group has accumulated close to two dozen residential, commercial and industrial properties in Singapore, Thailand, Malaysia and Vietnam. At our recent Initial Public Offering (IPO), TEE Land’s portfolio was appraised with a capital value of S$394.6 million (launched). Today, TEE Land’s strategic vision is to continue expanding into regional ASEAN markets while seeking new growth opportunities in new markets such as Myanmar, Sri Lanka and New Zealand. The Tapestry (Tampines Avenue 10) is a brand-new residential condominium by City Development Limited along Tampines Avenue 10 (Parcel C) in the heart of District 18, Singapore. The condo development comprises estimated 861 premium units on the land area 21,717.7 m2. Just a stone's throw away from the upcoming Tampines West MRT Station. Why The Tapestry | Condominium ? The Tapestry is located along Tampines Avenue 10 Street in the heart of District 18, Singapore. Just a few minutes to the future Tampines West MRT Station, Tampines Hub and various the world leading conveniences. At Tapestry @ Tampines, you can enjoy the most vibrant living in the most dynamic city in Singapore. Take the time to visit IKEA, Giant Hypermarket, Century Square, Tampines One, Tampines Mall and the variety of shopping malls in this area, you will know why people said that Tampines is the luxurious dream of everybody. At the weekend, let go out and enjoy a lot of exciting outdoor activities at Tampines Central Park and Bedok Reservoir Park. Finally, there are so many the reputable educational academy for you. St. Hilda’s Secondary and Primary School, United World College of South East Asia, Temasek Polytechnic, etc are in the vicinity. You can sure that your children will love the fresh environment here, with their new friends and new teachers. [/vc_column_text][vc_single_image image="11157" img_size="full" alignment="center"][vc_column_text]City Developments Limited (CDL) is a Singapore-listed international real estate operating company with a global presence spanning 97 locations in 26 countries. As one of Singapore’s largest companies by market capitalisation, its income-stable and geographically-diversified portfolio comprises residences, offices, hotels, serviced apartments, integrated developments and shopping malls, totalling over 18 million square feet of floor area globally. Life Sukhumvit 62 - Latest New Bangkok Condo Launch only about 200m from Bang Chak BTS station in Bangkok. Why Invest/Buy Life Sukhumvit 62 | Bangkok Thailand ? Expats and Locals and is ~ 200 meters from the nearest Bangchak BTS Skytrain station and 500 meters from the expressway. W District “Art & Lifestyle Mall at Sukhumvit” is a community mall located in Phra Khanong. There are both indoor and outdoor spaces comprising of the BEAT Hotel, W Market, HOF Art Space, E88 Bangkok, TCDC Co-Working Space and Cielo Sky Bar. Wells International School, a member of the International Schools Association of Thailand, Anglo Singapore International School, Berkeley International School offers educational programs Pre-K through Grade 12. Chanapatana International Design Institute is one of the first international schools of design in Thailand. [/vc_column_text][vc_single_image image="11245" img_size="full" alignment="center"][vc_column_text]AP (Thailand) Public Company Limited was established in 1991 to develop projects in Bangkok Metropolitan Area (BMA). Its core business today is on the development of townhouses, single detached houses and condominiums. [/vc_column_text][vc_single_image image="11251" img_size="full" alignment="center"][vc_column_text]Located in Chamkarmon District in central Phnom Penh, The Peak is a freehold 55-storey integrated development soaring 55 Storeys into the clouds, The Peak, stands tall in the sky. This masterpiece in the making is poised to become an iconic landmark in the city centre where the world looks up to. Comprising of the Country's first luxurious Shangri-La Hotel with 300 guest rooms, The Peak offices, two luxurious The Peak residences with 1014 apartments sitting atop The Peak Cambodia retail, The Peak is the world's next destination for live, work and play. [/vc_column_text][vc_column_text]The Peak offices, Directly below Shangri-La Tower, Cambodia Capital's first integrated luxurious business tower. *Details of Guaranteed Rental Returns will be accompanied with respective Sales & Purchase Agreement. Simply SMS or Whatsapp “PeakOffices” to +65-91259978 or simply click the button on the right and submit to get an Instant Free copy of the E-Brochure and Floorplan. The Peak @ Cambodia shares the same address as Shangri-La Hotel Cambodia and it is within walking distance to NagaWorld Casino, Embassy of Australia, Embassy of Russia, Ministry of Foreign Affairs, National Assembly, Dream Land, and Aeon Mall. With just 5 mins of ride, you could also reach the Phnom Penh Independence Monument, Elite Town Golf Club and Koh Pich City Hall. -Phnom Penh International Airport within 30 minutes. [/vc_column_text][vc_column_text]The Peak Cambodia Phnom Penh is jointly developed by Singapore Developer Oxley Holding and Cambodia developer World Bridge Land. With local Singapore offices, Singapore investors has a much easier avenue to get in touch with the developer to get the latest update of their purchases. [/vc_column_text][vc_single_image image="5696" img_size="full" alignment="center"][vc_column_text]Oxley Holdings, a Singapore Main-Board Listed company, is a lifestyle property developer engaged in the development of residential, commercial and industrial developments that cater to upwardly mobile homebuyers and entrepreneurs who value quality, style and convenience. Oxley’s property development projects are typically located in prime areas and complimented by prominent lifestyle features. To date, all of Oxley’s developments have been launched to very positive response. Among these were residential developments such as Viva Vista, Loft@Holland, RV Point, and Loft@Stevens, as well as its maiden industrial development, Oxley BizHub. [/vc_column_text][vc_single_image image="5990" img_size="full" alignment="center"][vc_column_text]The Shangri-La story began in 1971 with their first deluxe hotel in Singapore. Inspired by the legendary land featured in James Hilton’s 1933 novel, Lost Horizon, the name Shangri-La encapsulates the serenity and service for which our hotels and resorts are renowned worldwide. Today, Hong Kong-based Shangri-La Hotels and Resorts is Asia Pacific’s leading luxury hotel group. We are also regarded as one of the world’s finest hotel ownership and management companies. Owning and/or managing 91 hotels and resorts throughout Asia Pacific, North America, the Middle East, and Europe, the Shangri-La group has a room inventory of over 38,000. Simply SMS or Whatsapp “Peakoffice” to +65-91259978 or simply click the button on the right and submit to get an Instant Free copy of the E-Brochure and Floorplan. Why choose The Peak Offices Cambodia Among Others Cambodia Property Investment ?